Stertil-Koni today announced that six distributors in its North American network have been recognized as Aspire Program awardees based on their 2017 sales growth. We are honored to receive this award. It really confirms our hard work is paying off. Heavy duty vehicle lift leader Stertil-Koni today announced that six distributors in its North American network have been recognized as Aspire Program awardees based on their 2017 sales growth. 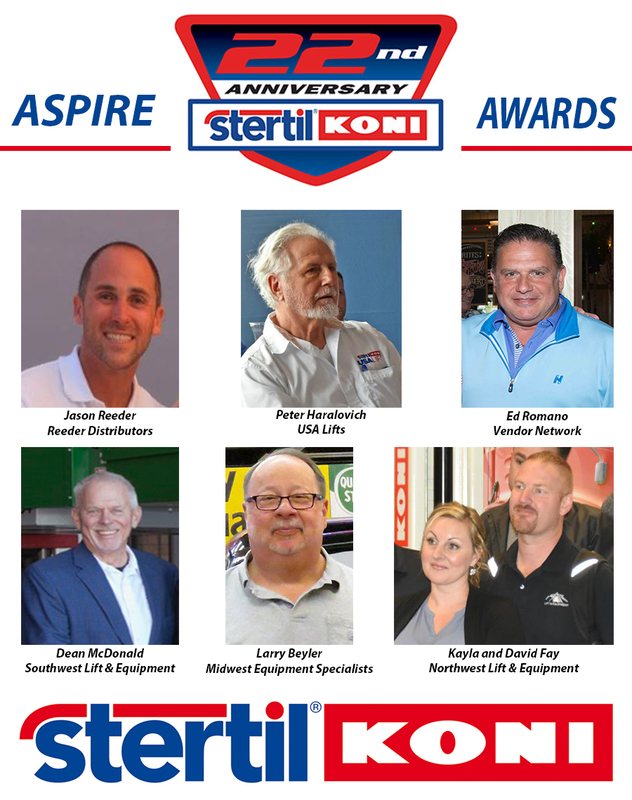 The coveted Aspire Program, now entering its third year, salutes Stertil-Koni distributors who have achieved marked incremental sales gains on a year-over-year basis, thereby placing them in a new, heightened level of performance. Recipients were recognized at Stertil-Koni’s recent 22nd Annual Distributor Meeting – and the reactions show just how excited the honorees were.